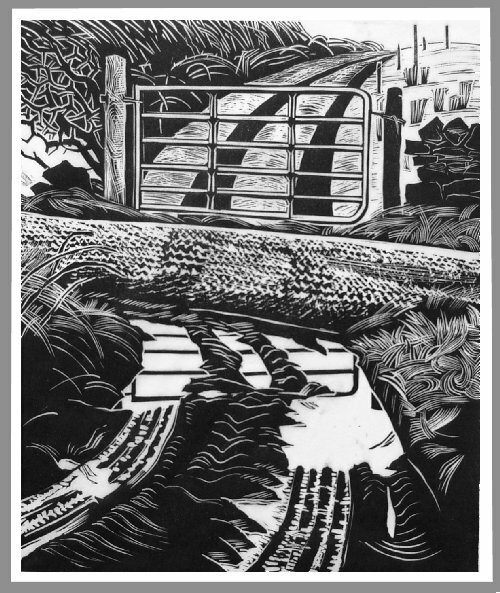 Single block print in black on Somerset paper. The word log is the same as lough , and here refers to a perrenial puddle , which children could slide on when frozen . When not frozen , it reflects the gate into the field to the South-West.